With an additional four new Clean Beaches, two more re-certified beaches and another four that are still certified, the Riviera Nayarit takes the lead in clean beach destinations in Mexico with 10 out of a total of 31 certifications. The Riviera Nayarit considerably increased its number of Certified Clean Beaches from six to 10, thanks to the four new beaches that were certified on June 26th by the Instituto Mexicano de Normalización y Certificación (IMNC by its acronym in Spanish). 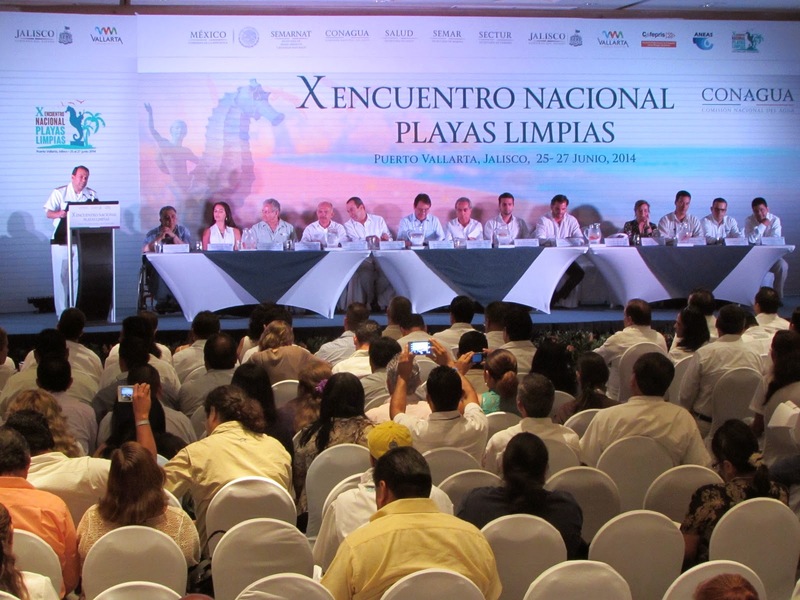 This occurred during the 10th Clean Beach Conference that took places in Puerto Vallarta, Jalisco. The National Water Commission (Conagua, by its acronym in Spanish) led the inauguration, accompanied by other governments and branches having to do with the topic at hand. The four new certified beaches include Palladium at Punta de Mita; Platanitos in Banderas Bay; Costa Capomo Becerros in Compostela and El Borrego in San Blas. These helped the Riviera Nayarit to take the lead, placing it at the top of the list of domestic destinations with certified clean beaches. Los Muertos in Sayulita and Vallarta Norte II were also recertified during the event. The beaches at Nuevo Vallarta Sur, Nuevo Vallarta Norte I and Bucerías in Banderas Bay, as well as Chacala in Compostela, still retain their certification. Pronatura Mexico also recertified the beach at Nuevo Vallarta Norte with the Blue Flag, awarded by the Foundation for Environmental Education (FEE). There are a total of 11 Blue Flag beaches in Mexico. Within Mexico there are 31 Certified Clean Beaches divided among nine states, with Quintana Roo in second place with five. The Riviera Nayarit now boasts 32 percent of the clean beaches in the country. These Clean Beach certifications are awarded based on the NMX-AA-120-SCFI-2006 guidelines established by the Ministry of Environment and Natural Resources (Semarnat by its acronym in Spanish). These results have been made possible through the participation of three levels of government, a non-profit association and local businesses. They serve to strengthen the positioning of the Riviera Nayarit, making it more attractive to both domestic and international tourists.